What is the difference between the ED and P006 series car to laptop adapters? Superbly Engineered Products, Retail, Wholesale, and Custom Designed! PowerStream is offering two levels of car-to-laptop adapter quality. The ED1060 and ED1010 series are for high reliability, small physical dimensions, and excellent appearance. They are equivalent in quality to the power supplies supplied by the laptop manufacturer, because they are made by one of the premier OEM suppliers. Due to our unique relationship to the factory we can offer these as the highest quality laptop DC converters available. 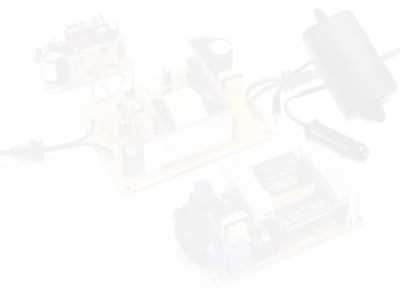 The PST-P006 is a low cost "one size fits most" converter that is larger in physical size, adjustable in voltage and comes with several interchangeable output connectors. Because of the added slide switch and removable plugs it is not as reliable as the ED series DC converter. It is equivalent in quality to those DC converters offered by discount mail order companies. Both come with a 1 year warranty against defects in workmanship and design.